Please inform us as soon as possible if you would like to apply for a place for your son or daughter at Faringdon Community College. 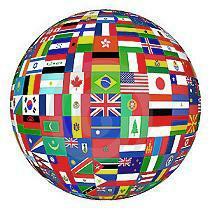 Please complete the International Student Admission Form and email it to Student Services. We have assigned a special integration morning during the college holidays for interviews - date to be confirmed. Please attend the morning if you can; appointments can be made through Mrs Burke in our Student Services department. When you attend the integration meeting you are required to bring a passport and visa for your child. If you would like to visit us before the summer holiday you are more than welcome please contact Mrs Burke for an appointment. If you cannot make the intergration morning then it would be possible to make an appointment early in September. An International Student Admission form can be completed when you come into college for your interview.